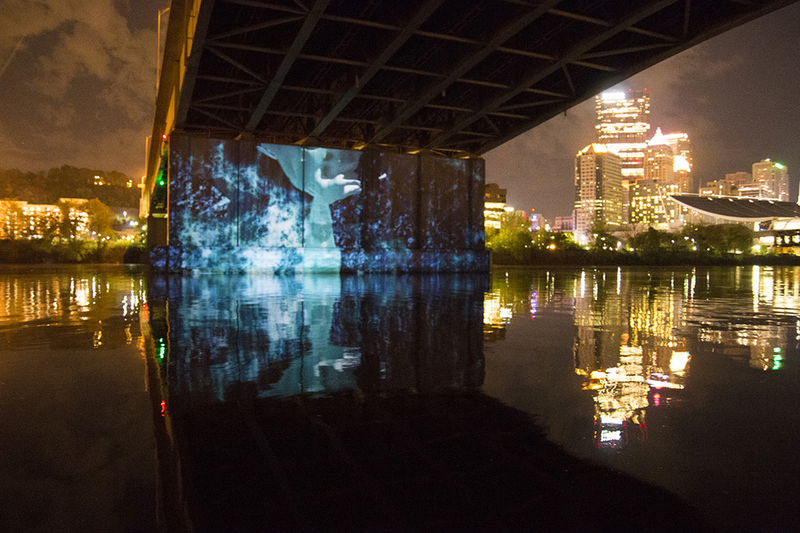 H3O is an event series and platform for research that transforms select sites along bodies of water into immersive experiences in sound, expanded cinema, and new media installation. In this series, the Drift partners with artists, musicians, and technologists to design audiovisual experiences that explore fluidity as an aesthetic, conceptual, and contextual body of inquiry. H3O/OO3 was supported generously by the Frank-Ratchye STUDIO for Creative Inquiry, the Greater Pittsburgh Arts Council, Awesome PGH, Carnegie Mellon School of Art, Carnegie Mellon College of Fine Arts, and Creative Capital. Special thanks to CUIR, Iontank, and Venture Outdoors. 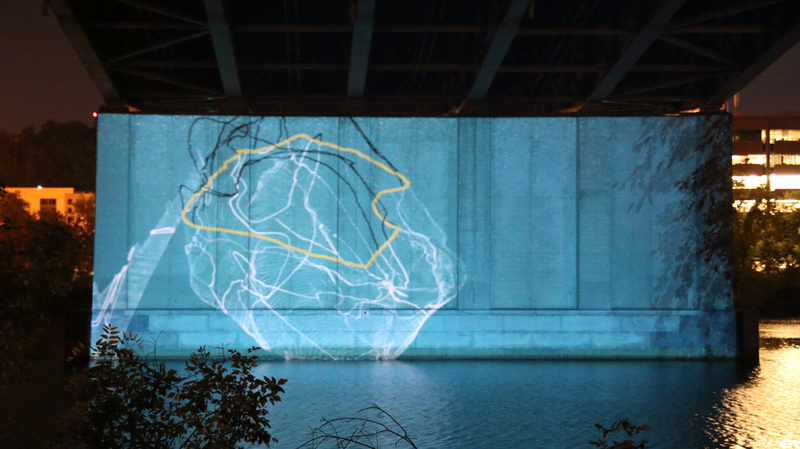 Curated by the Drift and co-presented with the Center for Urban Intervention Research (CUIR), H3O/OO2 took place beneath the Veteran's Bridge along the north shore of the Allegheny River in Pittsburgh. For H3O/OO2, the Drift partnered with CUIR and students from a course offered by CUIR director Ali Momeni in the School of Art at Carnegie Mellon University. Throughout the semester, the Drift, CUIR and students in the course developed a custom array of audio/visual rigs and installations, virtual reality experiences, and site specific performances. Student projects by Claire Hentschker, Guy de Bree, Brian Yang, Sebrand Warren, Luke Hottinger, Ben Gansky, and Dan Russo. 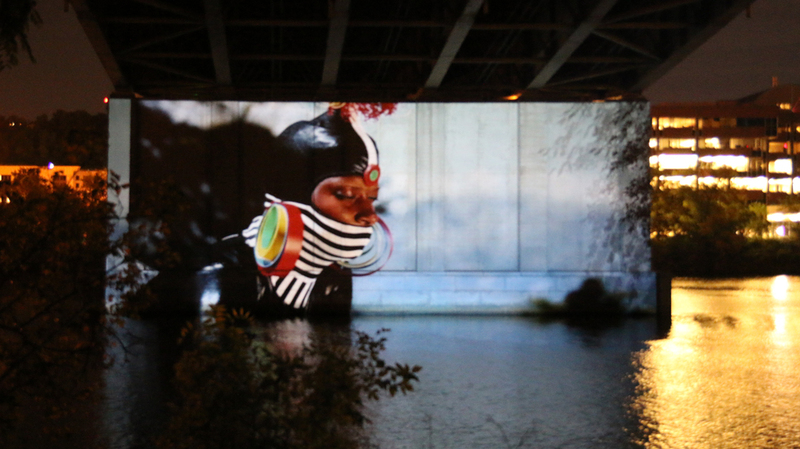 In addition to these collaborations and student projects, the Drift curated a selection of 15 works, commissioning 6 new pieces for debut, by an international group of artists working in video, animation, and sound. All video content presented in H3O/OO2 was provided courtesy of each artist with the exception of Mud by artist Neal Moignard (2015) which was provided generously in kind by the National Film Board of Canada. H3O is supported in part by funding from the Frank-Ratchye Fund For Art @ the Frontier and the Pennsylvania Council on the Arts. Technical equipment and expertise provided courtesy of CUIR and Iontank. As part of the Afronaut(a) Film Festival, the Drift curated a select presentation of short video works rendering embodiments of water and fluid form across classic cinema, CGI animation, live action video performance, and wet fetish videos. 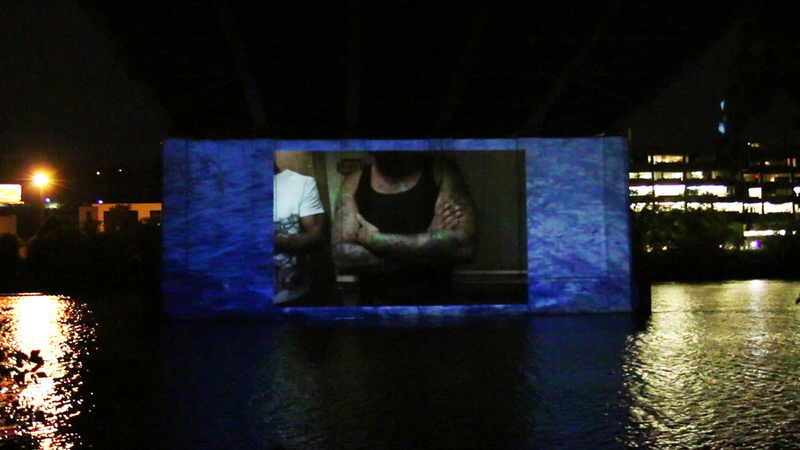 This presentation of H3O featured a five channel projection and live score by RIVKA. 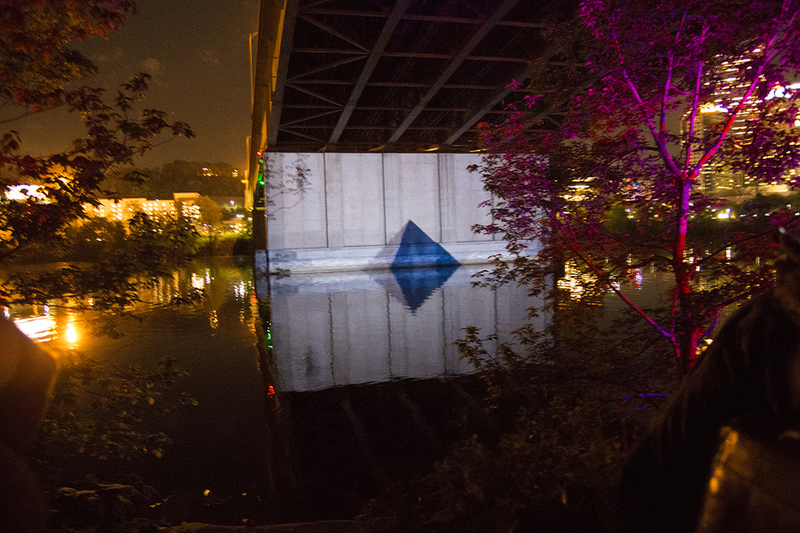 The event took place along the south shore of the Allegheny River using the concrete pier of the Veteran's Bridge as a projection surface.